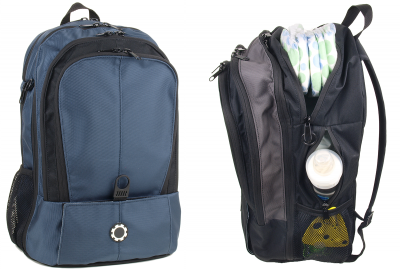 Designed by dads for dads, the DadGear Backpack diaper bag keeps dad organized and hands free. Features 13 easy-access compartments, a Diaper Hammock, a convenient baby wipes window, and integrated stroller straps. USA-made. This is brilliant for dads so they feel manlier. Great bag that is appealing and roomy. Great for dads and moms.